So, we're working on coming up with a whole new web site, which will be one humdinger of a site compared to this one. Stay tuned, and we'll keep you updated the coming changes. Read their opinions and save yourself the trouble of making up your own mind. 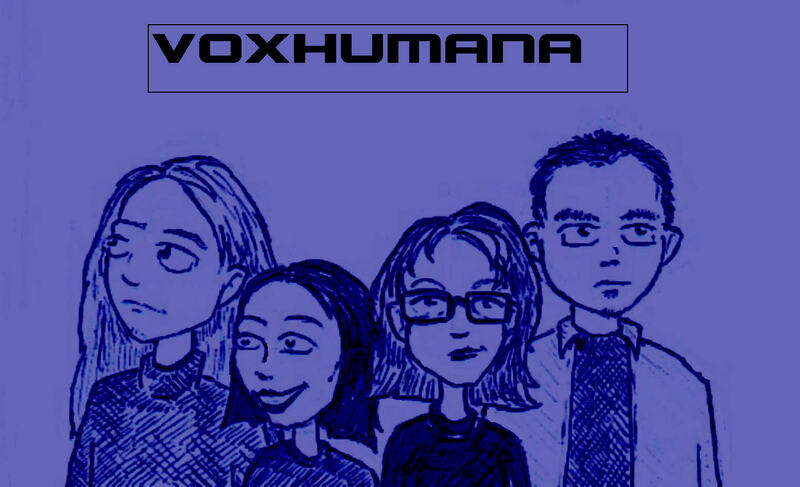 "VoxHumana is the most petabolic assault on the metracultural neosaliencies of our common idament that I have ever seen"
"VoxHumana is the greatest thing ever"
"A pure side-splitting, zany laugh riot"
-Amish Tractor and Grundle Weekly. "Never before has such a thing been seen"
-Francisco Franco, as quoted from Bunion Lickers Support Group Newsletter. Without all that annoying eighties hair band posturing. "Ferdinand IV (1286-1312), king of Castile and Leon. He was the son of King Sancho IV (1258-1296). His reign was marked by anarchy during his minority and later by the continuance of wars against the Moors, from whom he won Gibraltar in 1309."